An Ascending Triangle is a bullish chart pattern that consists of two trendlines: 1) a horizontal trendline at a level of resistance defined with no fewer than two swing highs and 2) an upward slanting trendline connecting a series of higher swing or pivot lows. The pattern starts to form when price action traces an orderly price decline from a swing high, much like a pullback buy. 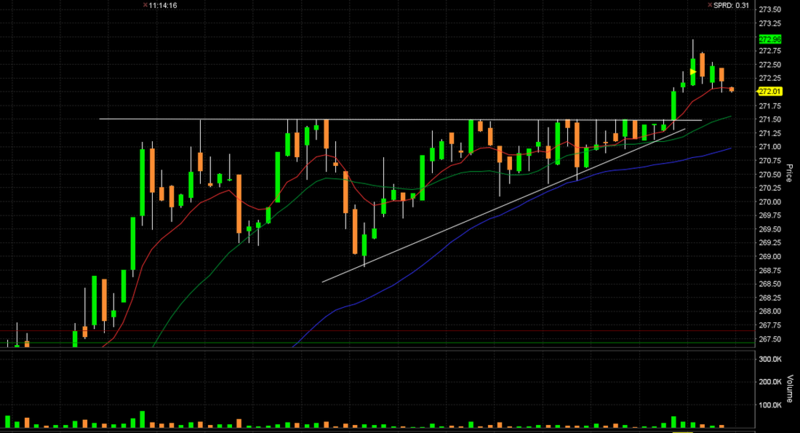 The price then rallies up to the prior swing high and stalls. 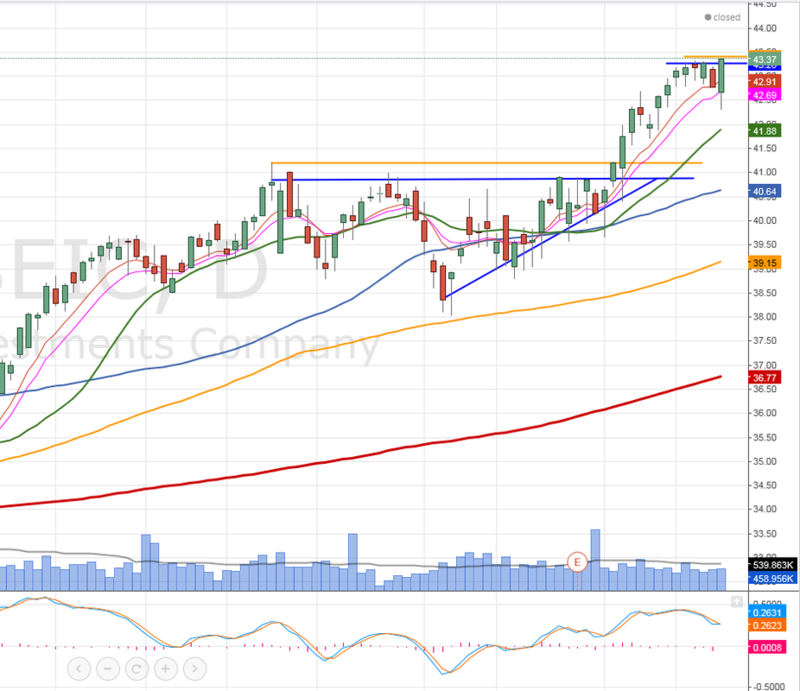 A second pullback occurs as overhead resistance is decreased and the stock then forms a higher swing low. This occurs over and over again until a series of equal swing highs and higher swing lows are formed. 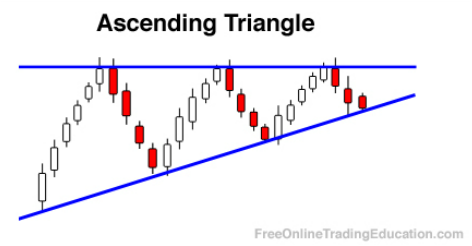 The power of an Ascending Triangle can be greater after a powerful upside move due to the possible increase of underlying support. Technical analysts realize that Ascending Triangles can be stronger when the swing high that begins the pattern is also at an all time high due to the possible lack of future overhead resistance. 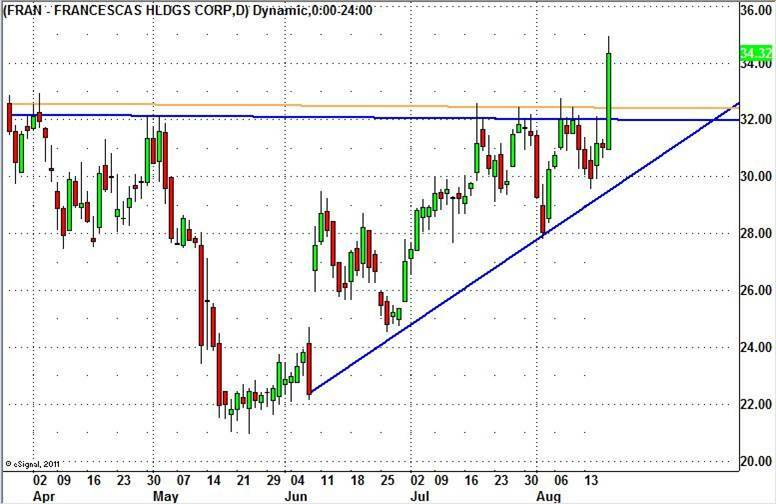 Traders typically work into long positions when the price of the asset breaks above the upper resistance.